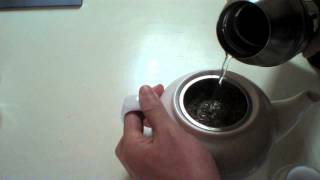 Pava (Kettle) and Mate… Mate is a typical drink from Argentina, Uruguay and Paraguay. This infusion is drunk with a metal straw called "bombilla" and the water is heated in a kettle.. I will show you how to make a miniature. Have fun and don't forget to SUBSCRIBE! ‪http://goo.gl/Wu0qF1‬ Weekly videos on WEDNESDAY and SUNDAY. EXPAND! info in: English, Español, Italiano, Français. materials and tools i used: - polymer clay (Fimo, Sculpey, Premo, Cernit, PVClay, etc.) - vinyl glue - crochet - Blade - silicone rubber sculpting tools - wire - cutting pliers - ball tool - rolling pin or pasta machine - oven Items must be cooked to 110 °C, following manufacturer's instructions. Check out my playlists here: http://goo.gl/oCQixw Want to know about miniatures? http://goo.gl/Ly7E8E Want to know about Diy Toys ? https://goo.gl/bcDtdm Want to know more about gift ideas? http://goo.gl/V4fZyo Music: "Tonight" by Nicolai Heidlas licensed under Creative Commons 4.0 soundcloud.com/nicolai-heidlas Brief music Introduction: "Sing Along with Jim" by Kevin MacLeod www.incompetech.com Licensed under Creative Commons: By Attribution 3.0 http://creativecommons.org/licenses/by/3.0 ——————————— Pava y Mate ... Mate es una bebida típica de Argentina, Uruguay y Paraguay. Esta infusión se bebe con una pajita de metal llamada "bombilla" y se calienta el agua en un hervidor . 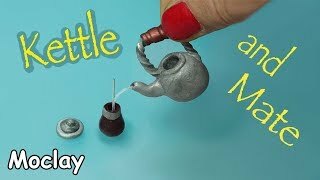 Te mostraré cómo hacerla en miniatura.¡diviértete! Materiales y herramientas que he utilizado: - pegamento vinílico (cola de carpintero) - aguja de crochet - cuchilla - buril con punta de bola - herramienta para escultura con punta de goma de silicona - alambre - pinzas de corte - rodillo o laminadora - horno Los artículos deben cocinarse a 110 ° C en un horno común, siguiendo las instrucciones del fabricante. --------------------- Pava y Mate ... Le maté est une boisson typique d'Argentine, d'Uruguay et du Paraguay. Cette infusion est bue avec une paille en métal appelée "bombilla" et l'eau est chauffée dans une bouilloire. Je vais vous montrer comment le faire en miniature. 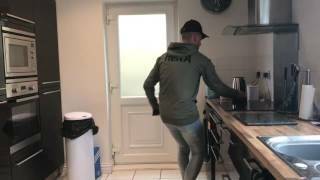 Regardez la vidéo et amusez-vous! Matériaux et outils que j'ai utilisé: - argile polymère (Fimo, Sculpey, Premo, Cernit, PVClay, etc.) - colle vinylique - outil de modelage avec double boule - Crochet - outils de sculpture en caoutchouc silicone - fil mètalique - Lame - pince coupante - Rouleau à pâtisserie, ou machine à pâtes - four Les articles doivent être cuits à 110ºC par 20/30 minutes dans un four commun, suivant les instructions du fabricant de pâte polymère. 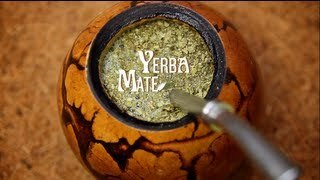 ————————— Pava y Mate ... Il Mate è una bevanda tipica che si beve in'Argentina, Uruguay e Paraguay. Questa infusione viene bevuta con una cannuccia metallica chiamata "bombilla" e l'acqua viene riscaldata in un bollitore chiamato "Pava". Ti mostrerò come farle in miniatura. Buon divertimento! Materiali e strumenti che ho usato: - argilla polimerica (Fimo, Sculpey, Premo, Cernit, PVClay, ecc.) - colla vinilica - uncinetto - Lama - strumenti per scultura in gomma siliconica - filo metallico - tronchesine - matterello o macchina per la pasta - forno Gli oggetti devono essere cotti a 110ºC per 20/30 minuti in forno comune, seguendo le istruzioni del produttore della argilla polimerica. 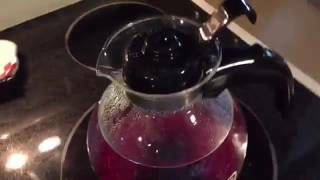 Watch more Tea Recipes videos: http://www.howcast.com/videos/59942-How-to-Brew-a-Pot-Of-Tea Drink tea. You'll be a few millennia too late to be a trend-setter, but it's delicious, globally loved, and a hell of a lot healthier than soda. Step 1: Fill kettle w/ water Fill the kettle with fresh, cold water. Step 2: Heat kettle on stove Set the kettle on the stove-top and turn the burner to high. 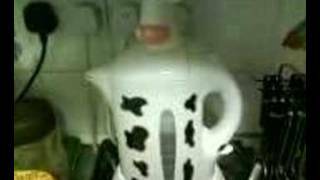 Tip While you're waiting for the water to boil, warm your teapot by filling it with hot tap water. Let it sit a few minutes before emptying. Step 3: Measure tea Measure the amount of tea you will need. You can generally plan for 1 teaspoon per cup if brewing loose-leaf, or 1 tea bag per cup, using more for a stronger brew or less for a milder brew. Step 4: Spoon tea or drop teabag Spoon the loose-leaf tea into the teapot or the infuser or inset basket. 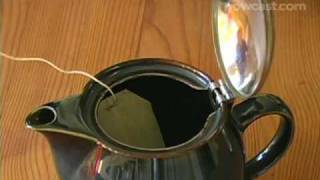 If you're using teabags, drop them into the teapot. Step 5: Pour water from kettle to teapot When your water reaches a boil, slowly pour it from the kettle into the teapot. Tip Consult your individual tea for its optimum infusing temperature, since some are ideally steeped in water that is slightly cooler. Either way, don't overboil the water, since this removes oxygen and flattens the taste. Step 6: Steep tea Steep darker teas, like black and oolong teas, for four to five minutes. Lighter or finely cut teas, like green tea or a teabag, need to steep for only two or three minutes. Don't rely on the color as your guide. Tip If you'd like to add milk to your tea, pour it into your teacup, just before the tea is ready. Add sugar, honey, or lemon later, but never all together—lemon will curdle milk. 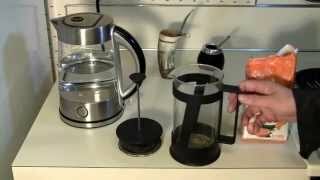 Step 7: Remove tea & serve When steeping is complete, remove the infuser basket or teabags from the pot and serve. If you used loose leaf tea, place a strainer over your teacup before pouring, then decant any leftover tea into a second teapot to avoid oversteeping. Did You Know? Black tea leaves are fermented, green teas aren't, oolong teas are partially, and herb teas, well, aren't tea at all, but fragrant blends of herbs, spices, and flowers. My dad really wanted a cup of tea! 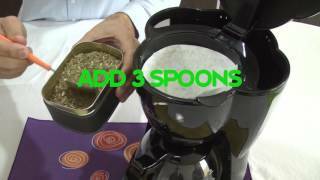 Really easy, make mate tea in a coffee machine. 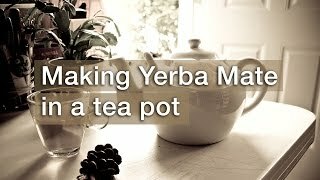 Use Yerba mate as you use coffe or tea. You'll love turning this one on to boil! !